A young mother with several children came into the West Jordan Police Department office to file the report last week. 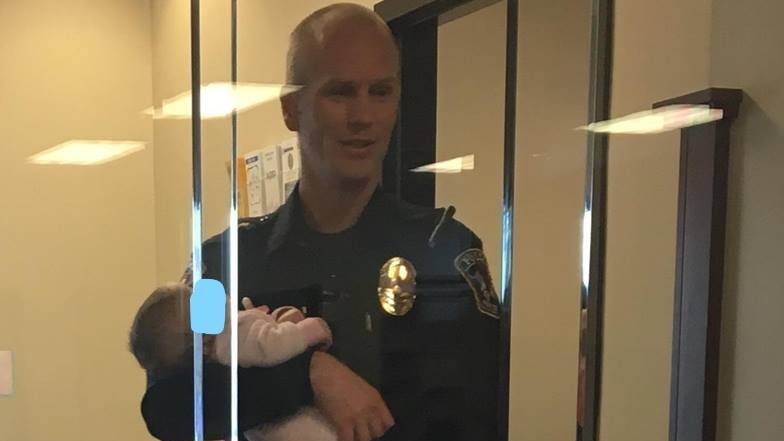 As she filled out the paperwork, Officer Robert Lofgran held her baby and watched over her other small children for several hours at the station. 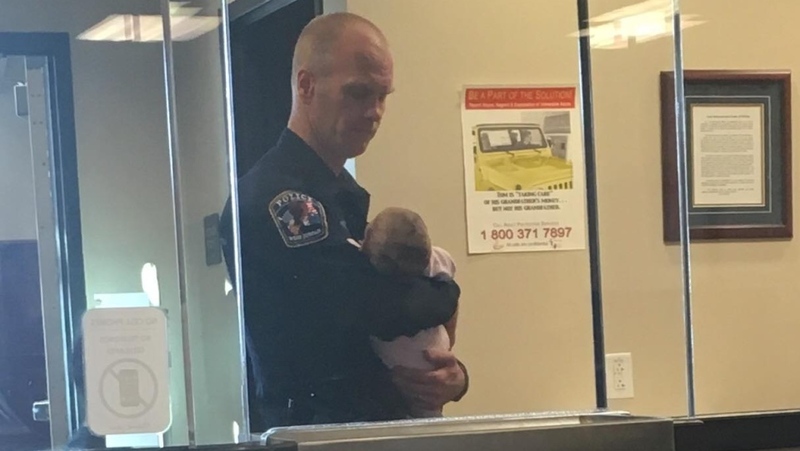 Some of the department’s record clerks snapped photos of the patrol officer during the call and posted it onto the West Jordan Police Department’s Facebook page on Thursday. “He spent hours on this call. Thank you for your service!” the department wrote. 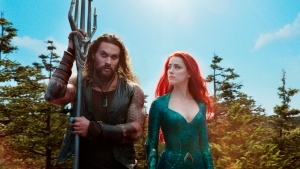 As of Monday morning, the post has been liked by more than 3,000 people and shared 413 times. “I wouldn’t say it’s every single day, but it’s often where officers do step in to try and help out with providing any type of resource so the parents or the victims can get assistance,” he said. He said that could look like helping victims find shelters, getting car seats or transporting kids to safety.